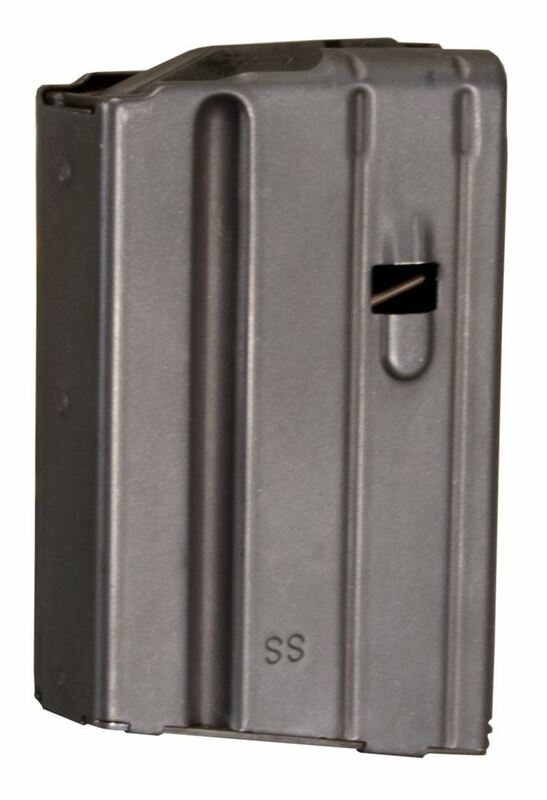 These quality Stainless Steel magazines are engineered for durability and dependability. Manufactured 100% in the USA using .020 gauge 410 Stainless Steel Alloy, heat treated for superior strength and lasting endurance. They are chemically treated for corrosion resistance, and coated with Marlube - a wear-in, not wear-off, coating that burnishes into the surface providing self-lubricating properties. The interior dimensions are Â± .002”to cartridge specification - perfect for reloads. Quality assembly components include Chrome Silicon Springs, Enhanced Anti-tilt Polymer Followers, and Matte Black Powder Coated Stainless Steel Floor Plates.